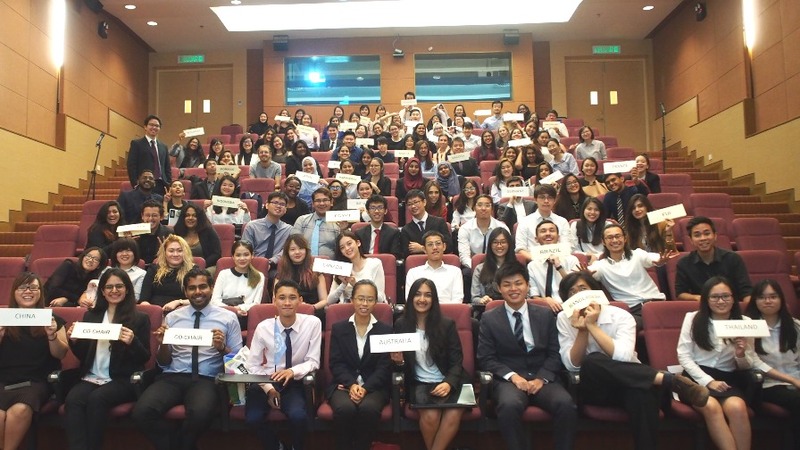 One hundred and twenty students participated in a half-day Model United Nations conference on 14 April 2018 simulating the UN Global Compact on Migration. This debate was organised as part of the second-year SASS unit, ‘Borders, People, Identity: Migration in the 21st Century’. 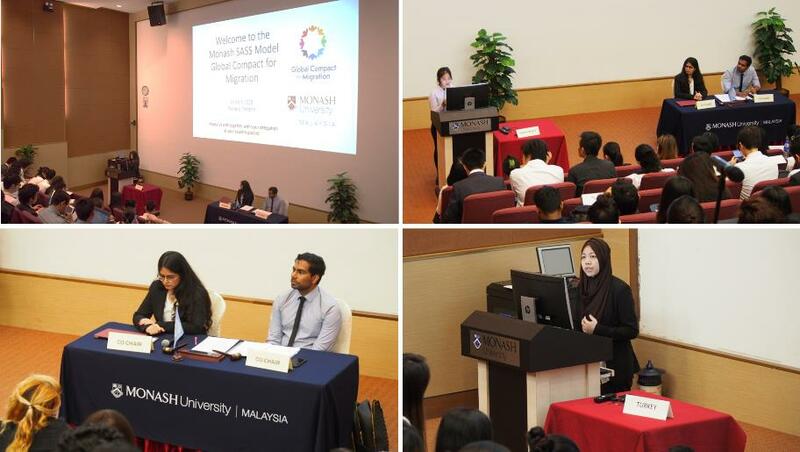 Thirty-four countries participated in the debate, with each country represented by three to four student delegates. Prior to the debate, delegations had to prepare briefing papers identifying their national positions on the challenges and opportunities posed by international migration, as well as undertake an analysis of proposals made by other countries. 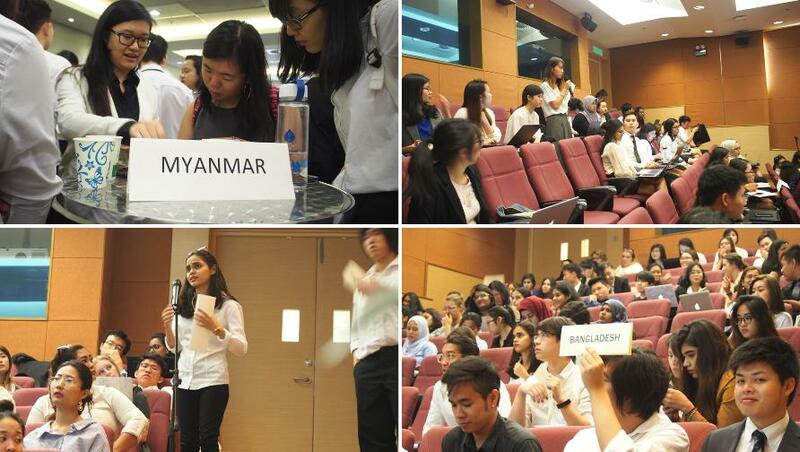 Two students with prior Model United Nations also served as the co-chairpersons for the debate. Global governance on the issue of international migration has developed in a piecemeal manner over the past half-century. As a result, in September 2016, governments decided to start negotiations on the Global Compact on Migration to achieve a holistic and comprehensive international agreement on migration, which will conclude at an international conference in Morocco in December 2018. The challenge faced by students in the debate was the same as those faced by governments in the ‘real world’ – how to cooperate to ensure that migration proceeds in a safe and orderly manner and contributes to sustainable development and human dignity, while respecting national sovereignty and the uneven roles that migration plays in different societies. Role-play simulation exercises such as this debate are also recognised as effective forms of student learning: they facilitate a deeper understanding of the complexities of international collective action on migration, develop students’ research skills through analysing issues from a national perspective, and improve their ability to orally contribute to debates. During the debate, delegations with similar interests collaborated on preparing draft ‘resolutions’ for debate by the whole conference. Delegates addressed the conference to express their viewpoints (be they supportive or hostile) on the drafts under discussion, and some proposed amendments to ensure that their perspectives were also included in the draft. At the end of the debate, one resolution, on improving oversight of recruitment agencies by both origin and destination countries, was passed in a vote by the delegations present. A second draft resolution on the return of irregular migrants to their countries of origin, however, was voted down. The co-chairs concluded proceedings by announcing honourable mentions of countries and delegates that had contributed in thoughtful and creative ways to the debate.